Me and the guys at Wideopen Magazine became acquainted over the internet, as you often do these days, but I finally got to put a name to the editor Jamie’s face when I went down to their Local’s Knowledge day at Triscombe. The whole day out was a pretty neat idea – Wideopen just wanted to meet, hang out and ride with the people that read the magazine, as everything is so hectic on race days when they normally meet folks. 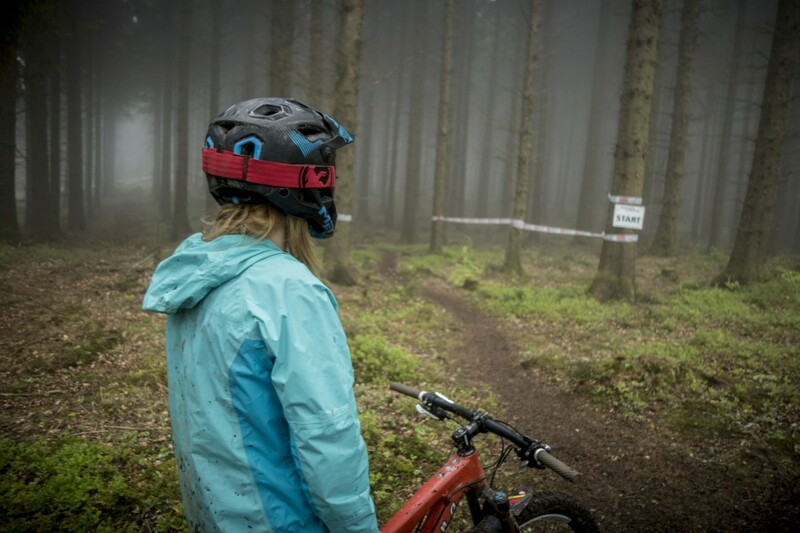 They were after a mellow atmosphere with no urgent timescale, plenty of time for chatting and riding and a chance to communicate with the non-racers. 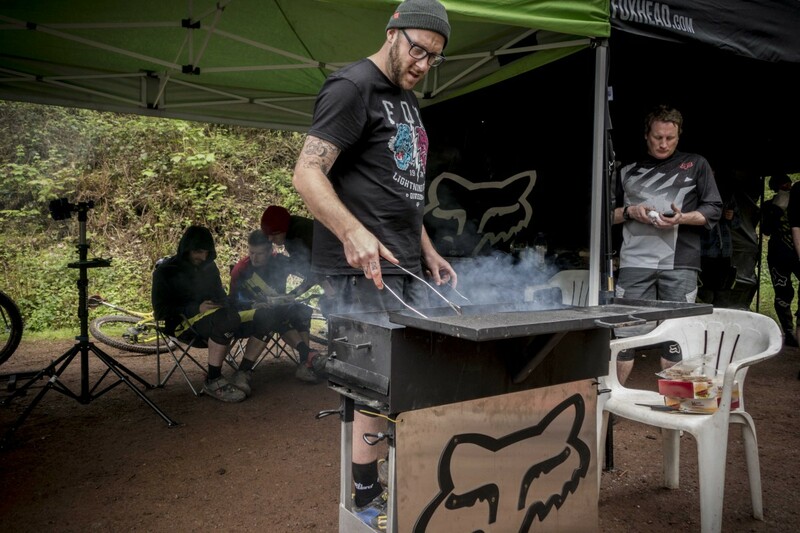 Fox had chucked in a a free uplift service and barbecue, so it was kind of like a jam. But not! 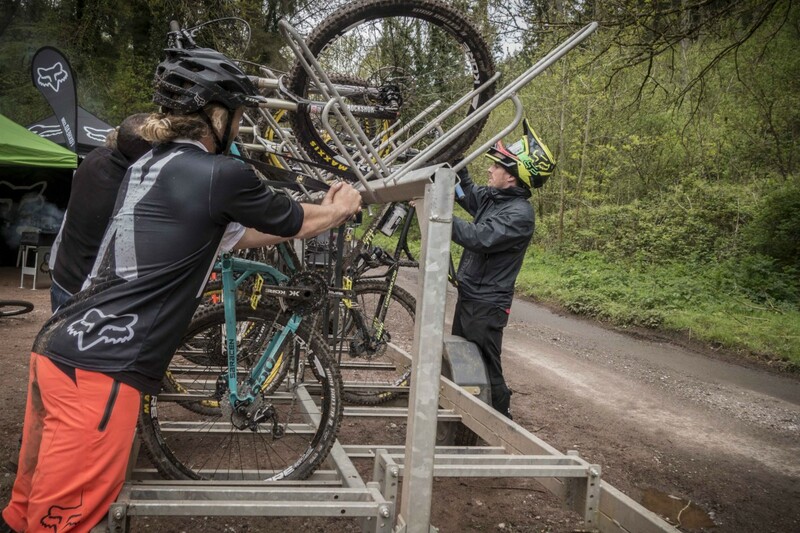 In case you’re a non mountain biker, an uplift is usually a shuttle bus to the top of all the runs, so that you don’t have to ride up to access the trails. I’ve only ever done two uplifts before, both at Bike Park Wales, because honestly, I just can’t normally afford it, so I usually have to ride up the fire track which is really boring and saps all your energy. For me, the best part of riding a mountain bike is going downhill, and I find riding uphill a bit of an arse because it’s SO slow that sometimes you’re better off walking. So the uplift was a real gift for Dave and I and it was also a great chance to meet all the other riders before we sped off down the trails. We rode as much as we possibly could, in fact we didn’t stop until nearly everyone except Jamie had gone home and the Fox stand had been dismantled and put away. The uplift driver was so generous that he said he’d keep ferrying us up for as long as we wanted, but eventually we took pity on him and let him go home! Whilst we were there, Jamie snapped me and the Furtado and posted a bike check over on the Wideopen site, that explains why I love it so much. Click here to have a gander. Great to meet you guys and thanks for posting this up! Let’s go again! If anyone fancies a go themselves, get on Facebook and search “Triscombe Uplifts” – you can book through that. Up Next. How Fit Can You Get In A Month?